Saudi Arabia's Foreign Minister Adel al-Jubeir gestures during a news conference after an extraordinary meeting of the foreign ministers of the Gulf Cooperation Council (GCC), in Riyadh January 9, 2016. The open rupture in relations between Saudi Arabia and Iran from the start of the year is dangerous for the entire West Asian region and could undermine the tentative agreement to settle the Syrian crisis reached by Russia, the USA and others. Russian analysts believe however that further escalation is unlikely, and that Riyadh and Tehran could soon lower their pitch. Shortly after diplomatic relations between Iran and Saudi Arabia were snapped on 3 January, Moscow expressed a readiness to mediate and help them restore ties. A TASS source in the Russian Foreign Ministry told the news agency, “We have always been in favour of closer ties between Riyadh and Tehran, and would happily play a mediating role, if both sides needed it”. Since then, President Vladimir Putin has confirmed Russia's readiness to help de-escalate the conflict in an interview with Germany's Bild. Russia's proposal, however, has been rejected. 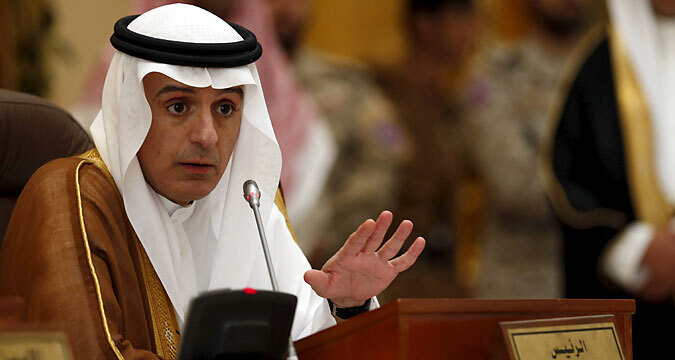 Saudi Arabia's Foreign Minister Adel al-Jubeir emphasised that his country does not need mediators. Vladimir Akhmedov, a senior fellow at the Institute of Oriental Studies in Moscow, agreed that it would not be possible for Russia to mediate, and said Moscow was right to emphasise its neutrality. “Russia gets another point of contact with the USA. The conflict puts them in a difficult position too. On one hand, it is important for Washington to maintain its special relationship with Riyadh and its satellites, but on the other, it is also interested in closer ties with Iran. As such, our positions coincide here,” said Akhmedov to RIR. Russian analysts are confident that there is practically no chance of direct military conflict breaking out between Iran and Saudi Arabia. Kosach pointed out that Prince Mohammad bin Salman, the Saudi Defence Minister, has said that “war between Saudi Arabia and Iran would be a catastrophe for the region”. Analysts believe that the confrontation between these Islamic powers is complicating preparations for the talks between the opposition and the government in Syria, due in Geneva on 25 January. Both countries are participants in the International Syria Support Group (ISSG), which also includes Russia, the USA and international organisations. “Saudi Arabia does not at present wish to see Iran as a participant in the talks,” said Kosach to RIR, as he expressed concern that the antagonism between the two powers could completely stymie the ISSG's work. Difficulties in preparing for the meeting are not limited to the conflict between the Saudis and the Iranians. Saudi Arabia is insisting that the opposition be represented in the talks by the delegation agreed at their unity talks in Riyadh on 10 December. The Syrian government representatives, according to Akhmedov, are refusing to negotiate with this delegation, as it includes rebels waging armed resistance against the (Bashar al-)Assad regime. “It is in the interests of Russia, the USA and Europe for the talks to take place, and there is every chance that together they will be able to have an influence on the participants. If not, the global community will be shown to be totally powerless,” said Akhmedov.